Home Sachin Tendulkar Sachin Tendulkar to flag off marathon in Delhi. Sachin Tendulkar to flag off marathon in Delhi. 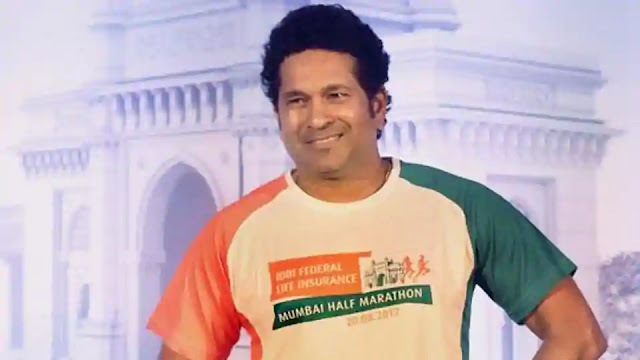 Over 18,000 runners are set to participate in the fourth edition of IDBI Federal Life Insurance New Delhi Marathon, to be held on February 24, and flagged off by cricket legend Sachin Tendulkar. In order to motivate and encourage the runners, the company's brand ambassador Tendulkar will flag off all the races from the Jawaharlal Nehru Stadium. Organised by NEB Sports, the AIMS-certified marathon has witnessed a 20 per cent hike in registration numbers as compared to the previous edition. This year, 2,000 runners will be competing in the full marathon, while 6,000 runners will be a part of the half marathon. Over 600 personnel from the defence services and the police force will be participating across the various race categories. Among the many runners participating this year are Suneetha Prasanna, a 73-year-old who is planning to run the half marathon and Himanshu Kumar, a para-athlete who will be participating in the 5k run. It is widely reported that the senior players may well be rested for this series, eyeing workload management. The Board of Control for Cricket in India (BCCI) selection committee will announce the squad on Friday and it remains to be seen if KL Rahul and Ajinkya Rahane get a final chance before World Cup. Both KL Rahul and Ajinkya Rahane had a decent outing against England Lions and Vidarbha respectively. The duo scored half-centuries against the opposition and is looking positive before the series.